Volkswagen's boss Matthias Mueller could be set to depart after the German car giant said it was mulling a reshuffe of its top ranks, with VW brand chief Herbet Diess tipped as his successor. 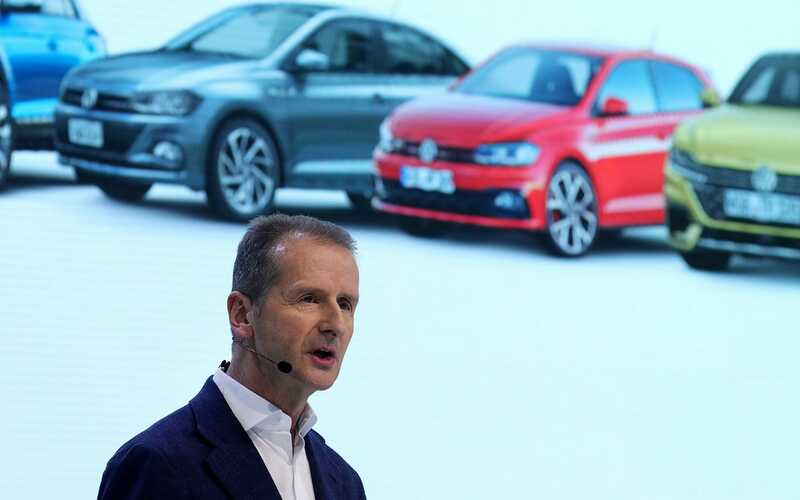 VW threw the future of its chief executive into doubt with a pair of ambiguous statements on Tuesday, saying it was “considering a further development of the management structure of the group”. This could include “personnel changes in the board of management” and different responsibilities for its members, the Wolfsburg-based business said. "A change to the chief executive could be involved," it added. VW said that Mr Mueller has “showed his general willingness to contribute to the changes”. The supervisory board will reportedly vote on the change in top leadership at a meeting on Friday. Mr Mueller was appointed to the top job in September 2015 after his predecessor Martin Winterkorn resigned in the wake of the emissions scandal that engulfed VW. Tens of billions of euros were wiped from VW's market value after it emerged that 11m of its diesel cars worldwide had been fitted with software that allowed them to cheat emissions tests, meaning that in some cases they were pumping out 40 times more pollution than was allowed. The company - which also owns the Audi, Seat, Skoda and Porsche marques - has since paid more than $20bn (?14bn) in fines, compensation and vehicle refits and buybacks in the US, but has so far not paid out in any other countries. However, VW faces a wave of court cases as affected motorists around the world seek similar deals. Only one executive from the company has been jailed in the wake of the scandal, despite multiple investigations. Mr Mueller's appointment was criticised by some at the time, as he was previously chief executive of Porsche and had held senior roles at VW and Audi dating back to 1978. Some had wanted an outsider to be given the job. 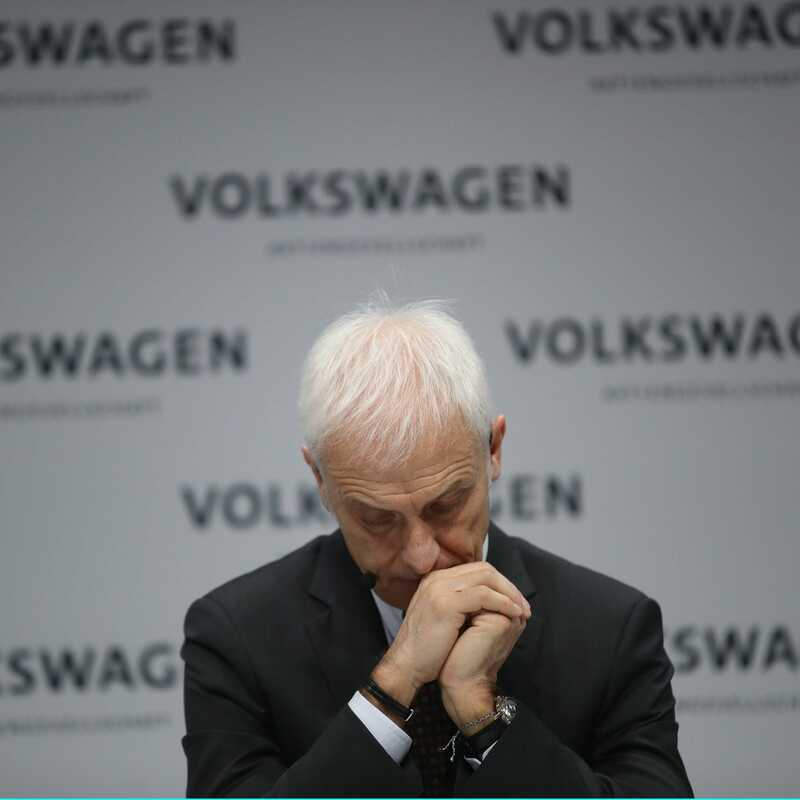 Nonetheless his departure would come as a surprise as he is generally regarded to have steered VW on a steady course out of the scandal, guiding it to record sales and profits despite the negative publicity and ensuing slump in diesel car sales across Europe. Mr Mueller, 64, has a contract that runs until 2020. During the company’s annual press conference in February, the chief executive said he was still haunted by 'dieselgate', adding that transforming the culture inside the company so such a crisis could never happen again was a huge challenge. German media outlets have reported that Mr Diess, a former BMW executive, will step into Mr Mueller's shoes. There had been speculation that Mr Diess was originally lined up as a future boss in 2015 but was considered too new when Mr Winterkorn abruptly departed, having only joined months before. Felipe Munoz, analyst at JATO Dynamics, said: “Mr Mueller has done a very good job in fixing VW’s problems and got the company performing financially despite the costs from dieselgate. VW shares, which have largely recovered from their 35pc crash in the wake of the emissions scandal, rose almost 4pc today. They were boosted by Chinese premier Xi Jinping saying that trade tariffs on imports of cars could be reduced and restrictions on foreign ownership of car companies in China relaxed.